Abstract vector layout with starburst rays and nature decorations. 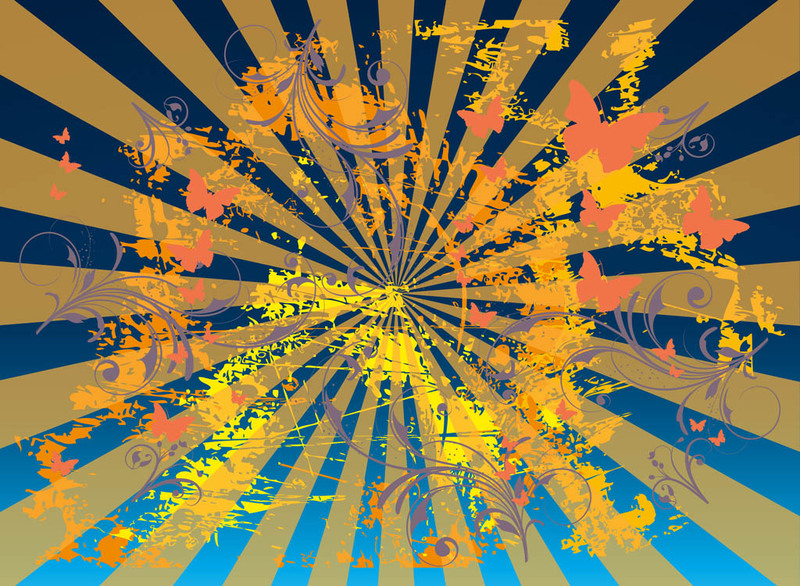 Grunge stained pattern with old paint effect, swirling silhouette flowers and flying butterflies in different colors. Free vector image to decorate wallpapers, backgrounds, backdrop images, posters, flyers, party invitations and adverts. Tags: Abstract, Butterflies, Flowers, Rays, Spring, Stained, Street Art.